Fall has definitely been in the air in the PNW the last week and I LOVE IT! Cue the whistling wind and start stockpiling your gourds! I know it’s still been blazing-hot-summertimes elsewhere, but I’m totally relishing in these cooler temps. Though, I hear the weather is going to be much warmer later this week–what a tease! 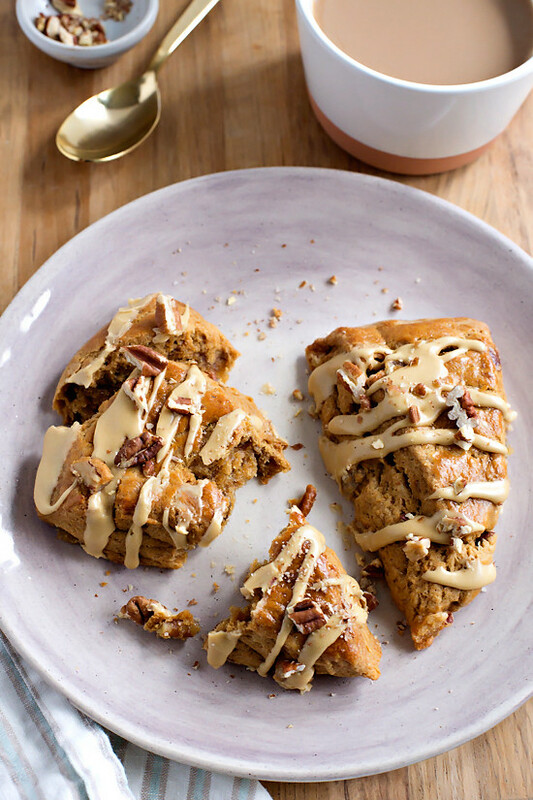 My fellow fall time enthusiast, Mary of The Kitchen Paper, biked her way up a hill and over to my house in the rain just so we could jump the gun on autumn and get our bake on in the form of these Molasses Scones with Candied Ginger and Pecans. We didn’t go full-on-fall-madness with pumpkin and spice, but we did dip our toes into the fall-time-flavor-bath (<<<what?) because, honestly, we couldn’t resist. We subbed out any sugar you’d usually put in scones with dark, rich, almost bitter molasses. Not only does the molasses give these scones an almost mineral-like dark, caramel flavor, it also gives them an amazing bronzed color. The bites of candied ginger bring chewy texture and a pleasant spiciness while the pecans are toasty and crunchy. To double up on the molasses flavor we stirred up a quick glaze with even more delicious molasses flavor. These scones came together super quickly with the help of a food processor (though old-fashioned elbow grease works just as well!) which ended up being great since these were made/baked while Casper was napping. He even helped with setting up and styling these guys–aka, he dragged linens off the table and sat on some foam boards. What can ya do? 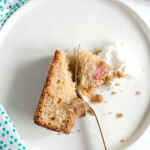 See Mary’s take on these fall-time beauties over at The Kitchen Paper! Follow Mary’s delicious and beautiful PNW adventures on Instagram, Facebook, Twitter, & Pinterest. In the bowl of a food processor (or in a mixing bowl, using a pastry blender) pulse to combine the flour, baking powder, and salt. Pulse in the cold butter until you have coarse bits of butter throughout, none larger than peas. In a measuring glass, stir together the cream, molasses, and vanilla. Then, with the food processor on, pour in the cream in a slow, steady stream until the cream is completely incorporated and the scone dough comes together. Turn out the scone dough onto a lightly floured surface and gently fold in the candied ginger and pecans until well distributed. Pat the dough out into a circle and cut into wedges. 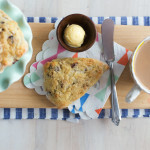 In a small bowl, beat the egg with the cream to make an egg wash.
Place the scone wedges onto the baking sheet a few inches apart and brush each with the egg wash. Bake the scones in the center of the preheated oven for 15 minutes, until the bottoms are golden around the edges. Remove from the oven and cool on a wire rack before icing. To make the icing, whisk the confectioners sugar with the molasses and cream. Add more cream to think to desired consistency. 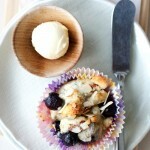 Adapted from this Blueberry Almond Cream Scone recipe. I want to spoon that glaze into my mouth!! SO yummy looking!! Eek! These are SO gorgeous! And I want them immediately. 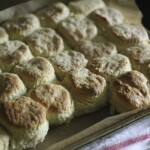 Hey hey, look at these scones! I love that dark color that the molasses gives them. Love your new logo too! Molasses is so wonderful and these look over the top deadly. Definitely a diet killer here. Can’t wait to kill it! Mother Nature is teasing us here as well – cool, Fall-like temps for the last week, and now it’s supposed to jump back up to blazing hot by the end of this week. I’m ready to be done with summer. 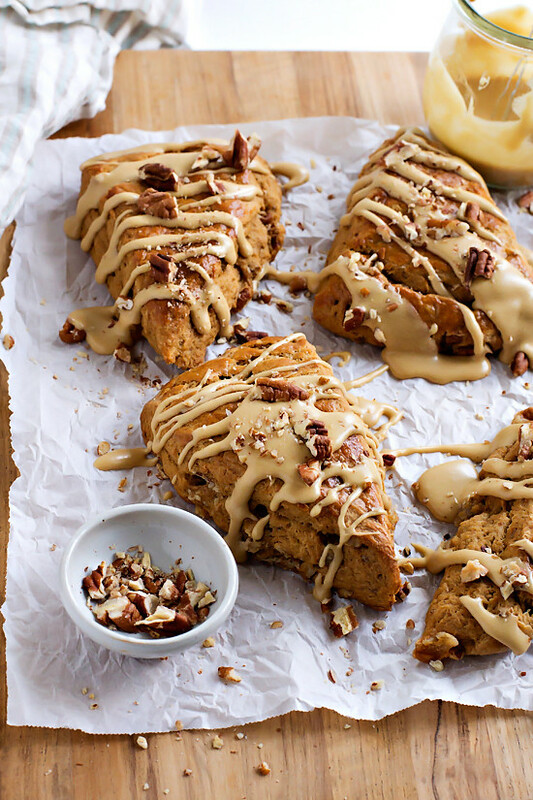 I am so intrigued by these no-sugar + molasses scones. They look incredibly lovely with that delicious drizzle! Molasses in scones must taste amazing! Fall is coming fast here too and I’m still hanging on to summer (/slightly warmer temperatures) with every part of my being. 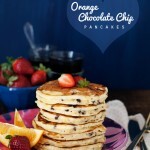 These look delicious and I love that drizzle on top! These pictures are preeettttyyyy on fleek (sorry; I hate myself too), so I think Casper was onto something here! “Don’t you mean THIS linen, mom?” Anywhosies. These sound incredible, and I am loving our weather right now too. It’s perfection! I feel like such a weirdo even writing “on fleek”, yet, I continue to do it. Thanks, lady! I am really missing that cool PNW weather – it’s crazy hot here in San Diego right now! 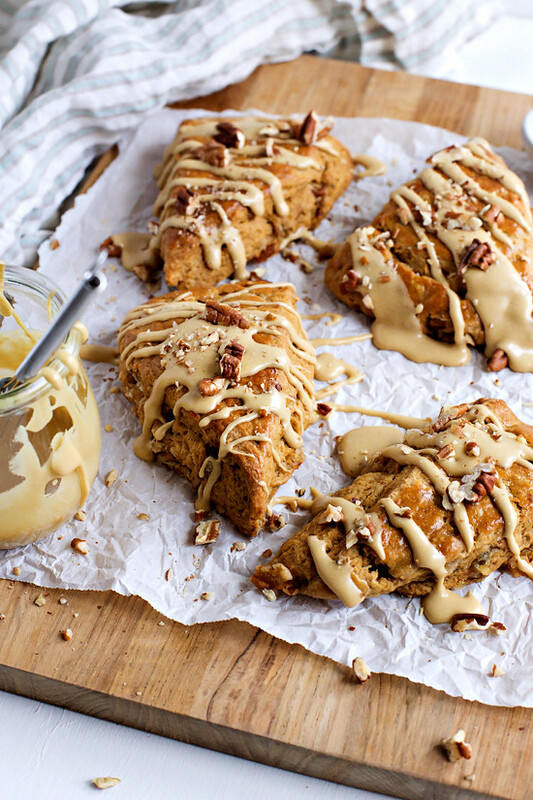 I am such a huge fan of scones, and these look really, really tasty. I must make them. “On Fleek”! You had me at molasses.. because hello molasses. Never had scones with candied ginger, sounds very interesting. 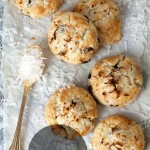 These are the most beautiful scones I have ever seen!